To Sell A Structured Settlement, Or Not To Sell? Sell A Structured Settlement, or Not? I'll not argue with you if it is right to sell a structured settlement or not. It's your money. It's your right to handle it the way you wish, although the court won't always allow you. Sometimes the justice system believes it knows better than you what you should do with your money. It has a logic, too. The Structured Settlement Protection Act was set in place in order to protect you and your finance. That's why it grants you the benefit of tax exemption on your personal injury as well as workers' comp structured settlement. Structured settlements are preferred by financial experts, lawyers and lawmakers for a variety of reasons, including the security of a steady stream of periodic payments in lieu of a lump sum that bears the risk of overspending. Once a structured settlement is arranged, you may be best off keeping it to maturity, receiving the periodic payments whether fixed or in periodic lump sums instead of cashing it out. Why? Because when you sell a structured settlement for cash, you will be paid only a part of what you would be getting in future payments. The reason for this is simple, because money is always worth more now than later, and because you are getting value by receiving cash now rather than waiting for future cash flows. However, let's get back to our previous statement: it's your money, and sometimes you may want to reverse the structured settlement. You may want to sell a structured settlement for a cash lump sum. The thing is, the structured settlement can't be revoked or changed, so you are left with selling it for a discount price. Reasons to sell a structured settlement may be multiple and various. While a structured settlement may have appeared to be your best bet at first, circumstances may have changed by now. Life is dynamic, and unforeseen changes occur. There's no shortage in reasons for a desperate need of a sum of money at certain points in ones life. When you do decide to sell a structured settlement, keep before your eyes the advantages as well as the downsides of such a move. If you absolutely need the cash, you may want to go ahead and do it. If you are in doubt, other ways to raise your badly needed capital may be a better way to go. Talk to a financial adviser if you need to (it may be mandatory in a number of states anyway). And remember: even if you do decide for a cash out, it doesn't have to be the whole settlement money. Parts of your future payments may be sold while keeping the rest. In fact, this is often a wise financial choice. Read more about buying structured settlement payments - in part or in full. While it is not my job to decide for you whether to sell or not to sell a structured settlement, I still want to caution you. Settlement payment streams are an asset. It's not something that you gain too often. Once you cash it out, it is a done deal. You'll have given up a steady income source. So, think in earnest before you conclude. Don't make hasty decisions. Let me point out here some pros and cons of selling a structured settlement for a lump sum vs keeping the future payment rights. When the plaintiff and the defendant settle their case, an agreement can be signed with the defendant's insurance company to arrange for setting up a structured settlement insurance policy for the plaintiff. In this case, the claim is often assigned to a third party insurance agent working for a company that sell annuities. The agent is paid by the original insurer to set up a structured settlement plan for the claimant. The agent takes over the case and releases the original insurance company from its liabilities. A detailed payment plan is worked out for the periodic payments. The plan is usually quite flexible, and various different installments of fixed payouts as well as lump sums at defined periods are structured and agreed upon between the structured settlement company and the payee. 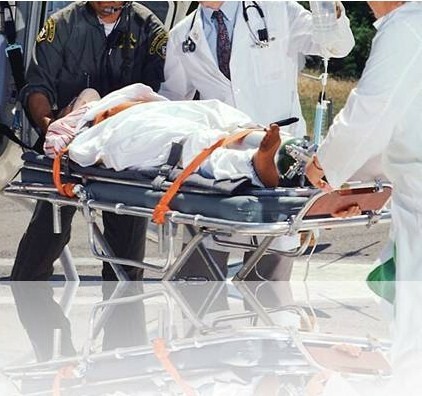 In personal injury cases, the future payments, whether fixed or lump sums will be exempt of income taxes. By selling your structured settlement annuity payments, you are actually giving up an important means of financial security. Once you sell your structured settlement, you will not be able to buy it back, and you will lose the steady guaranteed stream of future income. 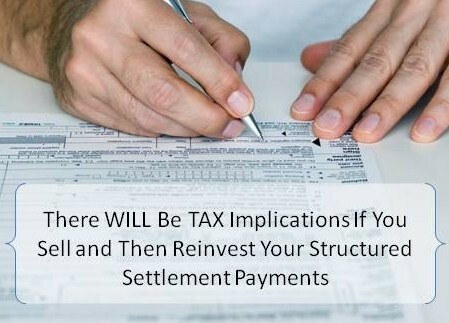 While the structured settlement sale itself is not taxed, the capital gains on investments, should you decide to further invest the lump sum, will have tax liabilities. When Is It Time To Sell Structured Settlements? You are definitely dependent on a large amount of money now. You can afford to give up the financial security of a guaranteed stream of income. You only need the money to entertain yourself, go on vacation or buy a new luxury car that you don't really need, then your decision to sell a structured settlement may be a bad and irresponsible one and might not get the mandatory court approval for it. You can handle the money well, or you want to do an investment without prior experience in money management and without expert advise, then selling your settlement may not be in your best favor. When you have done your homework and planning and are ready to sell a structured settlement, call me and I'll help you get it done easily and as quickly as possible. You'll get a fair deal and superb service. There's a friend waiting for your call. Structured settlement payout value - bottom line: how much do I get paid? Do You Have A Structured Settlement And A Nice Story To Share? "I Want To Sell My Structured Settlement"
We are a REAL insurance agency you can trust! DISCLAIMER: the content, written, graphics, or else, of this website is for information only and does not constitute legal, financial, or professional advice, recommendations, guarantees or promises of any kind. Nor do we make any claims of accuracy or completeness. We hereby disclaim all the liabilities and possible losses or damages resulting from the use of its content. For professional advice of any kind, please consult a qualified professional.